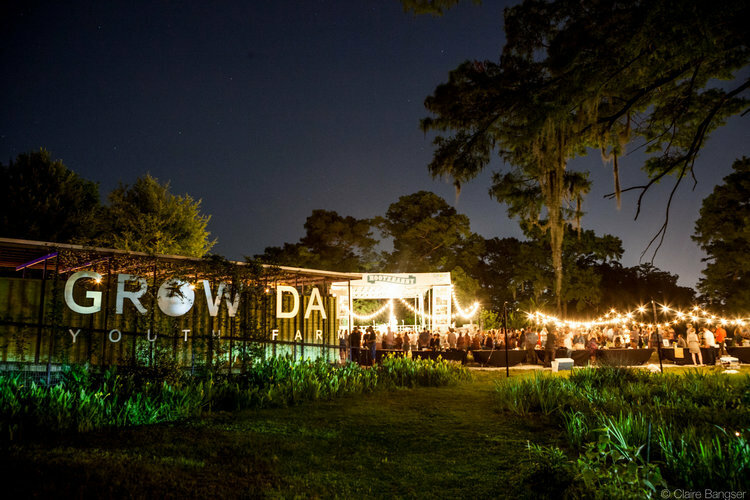 A few of us in NOLA attended a Hootenanny at NOLA City Park for GrowDat Youth Farm, which teaches children how to create and maintain sustainable gardens within this city’s environment. Verdad donated $1000, which will support the salary of an instructor within that organization. In our sponsor bag we were given some fresh veggies grown from the actual Youth Farm! We enjoyed some small plates, drinks, chit-chat, and danced to some good ole Louisiana zydeco and brass bands under the stars. One portion of the night featured a real live auctioneer auctioning items off and taking donations – pretty cool stuff! Each year Grow Dat employs almost 70 young people from across New Orleans to grow, sell, and donate 25,000 pounds of food to the New Orleans community. Another 2,500 community members come to the farm to learn about food, agriculture, and the environment through field trips, learning tours, and camps.